CamMate's world famous 2000 Series is for applications requiring extended camera height and reach. The NEW CamMate 2000 Series will provide quality, precision moves, and control, allowing you to reach new heights. Constructed with our high strength 6 foot extensions, the CamMate 2000 Series gives you more combinations with greater weight limits. The 2000 Series is available in lengths of 12 feet (3.65 meters) up to 50 feet (15.2 meters). With all the same electronics features as our famous Travel Series, combined with a much greater camera reach, the CamMate 2000 series can't be beat! 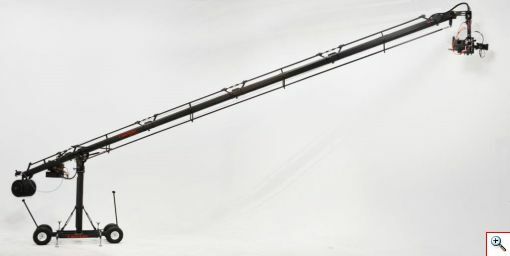 ***The CamMate 2000 Series Cranes were mounted on a Roamer Dolly with Studio Wheels and a tall tube (4') for all approximate measurements.